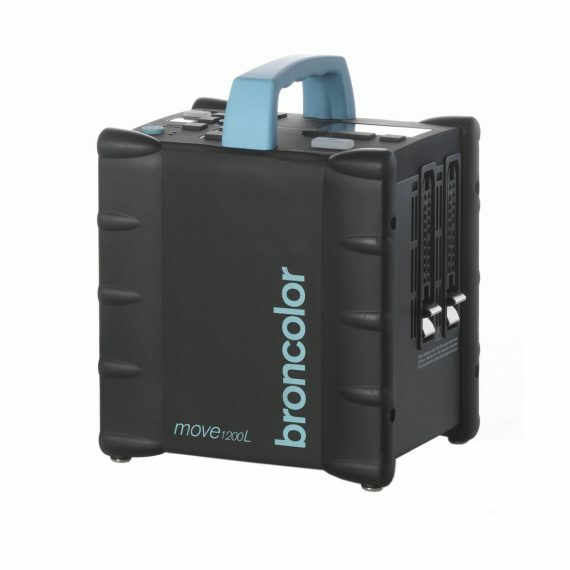 Broncolor Move 1200 L Battery Pack | Beau Photo Supplies Inc. Equipped with the Lithium power system, this battery power pack promises long periods of use, very low weight, and up to 4,000 recharging cycles. All Move power packs are HS compatible if they have the software version 48.07 or later*. “HS lets you use flash in combination with very short exposure time settings on your camera. For example, with ambient light, even with the aperture wide open selective focus, the image can be underexposed correctly with up to 1/8,000s and the Move still lets you set dominant and creative light effects. All you need for this is the RFS 2.2 which is available for Nikon, Canon and Sony cameras. *Note: Any Move software update is must be done by broncolor Canada Service department.